Another great night of racing of racing under the belt, with some really classy fields all round. Great to have Cam back home and adding some firepower to A Grade! We just need some more C Graders racing – c’mon all your Corporate Pursuiters – now is your chance! The third annual Konica Minolta Nelson Cycle Festival will be held throughout October 2012 and will encompass a variety events catering for cyclists of all ages and abilities. The track season is really starting to kick off, with great numbers and excellent, edge of your seat racing on Tuesday night. Tour de Femme - it's on again! Go for a social 22km ride, blat out the 44km or 70km race or go the ‘full tour’ and include the time trail on the Friday night. The more km you ride the greater the prize options! Only four spots left and registrations close Thursday. Saturday 15 September dawned a little damp and cold, but the hardened road crew were out to do those who went before us proud, in this very important race on our calendar. Some positions have now become available for Ian Densie's Sunday afternoon priate track training sessions. MLT Moonshine Trail: Bigger, Better - and Cheaper! Organisers are looking to make the 2013 MLT Moonshine Trail bigger, better and cheaper - and the special early-bird entry price certainly covers the latter! 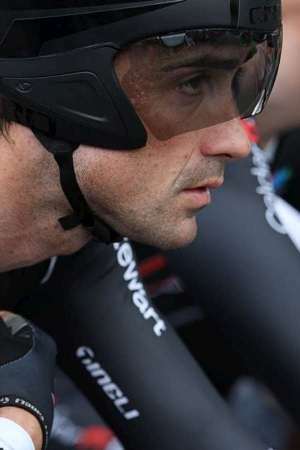 Multiple PowerNet Tour of Southland winner Hayden Roulston will join fellow World Tour professionals Julian Dean and Jack Bauer in next week’s BikeNZ team to ride the Men’s road race the UCI Road World Championships in The Netherlands. 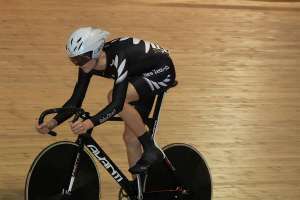 A strong Southland contingent has been named as part of a young BikeNZ squad named to compete in the Oceania Track Cycling Championships in Adelaide in November. Southland’s Phillipa Gray and pilot Laura Thompson claimed seventh place in the bunch sprint for bronze in the Individual B road race on the final day of the Paralympics. Invercargill cyclist Phillipa Gray and her pilot Laura Thompson have completed the set of Paralympic medals in less than a week. Southland’s Phillippa Gray with Laura Thompson collected a silver medal on the roads on day seven of the Paralympics in London today. A large field of senior riders turned out in great conditions for the Saturday New Vale Coal Circuit Road Race. Southland Paralympic cyclists Phillipa Gray and Laura Thompson have won gold in the individual B pursuit after pulverising the former world record by nearly 5sec in their qualification ride. Southland cyclists Phillipa Gray and Laura Thompson have bagged New Zealand's third medal at the London 2012 Paralympics, securing bronze in the Women's B 1km time trial. 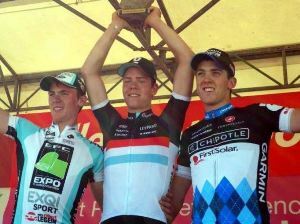 Cycling Southland's Tom Scully is the latest member to be added to a strong southern contingent that will contest this month’s UCI Road World Championships in the Netherlands.